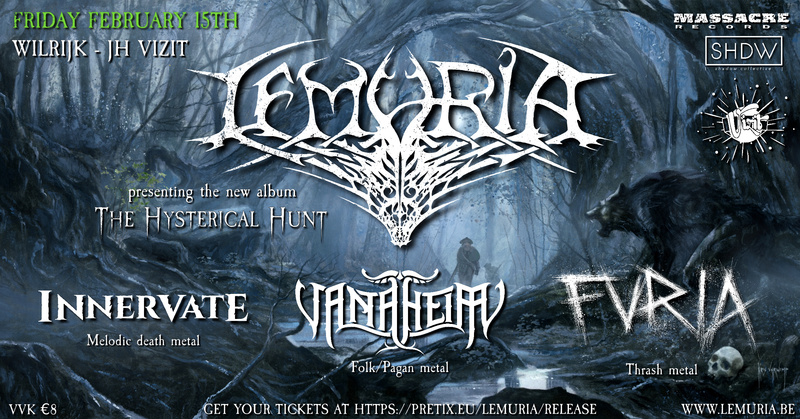 Lemuria presents their new album 'The Hysterical Hunt' live on Friday the 15th of February at JH Vizit (Wilrijk). Furia, Vanaheim and Innervate share the stage with us to bring you an intense evening of thrash, black, death and folk metal. Don't miss this opportunity to hear the new album live for the first time. Contact Lemuria on Facebook, by e-mail or send a raven.